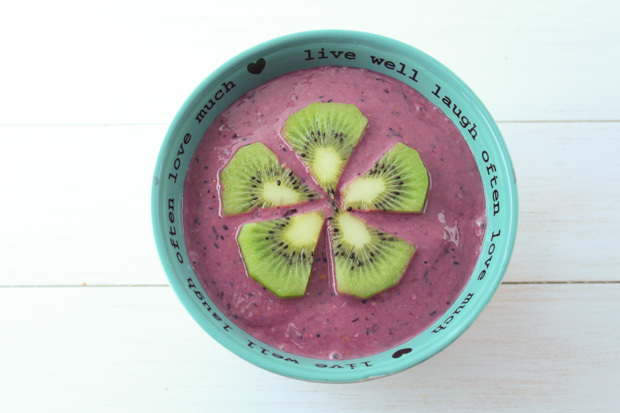 This smoothie bowl is berry delicious! Get creative with your add ons to add even more color and nutritious ingredients. In a blender, combine mixed berries, ground flaxseed, oats, yogurt, pomegranate juice. Cover and blend until smooth. Pour smoothie into two bowls and top with granola, mixed berries ground flaxseed. Serve and enjoy. Serving size: 1 cup (250 mL) smoothie plus toppings. Each serving contains 2 Tbsp (30 mL) of flax.